Another busy weekend. I am so grateful for Ben’s dad, Gene for being here. I don’t think I would have survived without his help. Ben was still in the hospital Saturday. I had stayed until midnight on Friday with him and I went back to the hospital first thing Sat morning. He was looking better and walking around but still in a lot of pain. I had to pick up snacks for the boys’ baseball games, then went to Seppe’s game. Seppe was bummed Ben couldn’t be there. 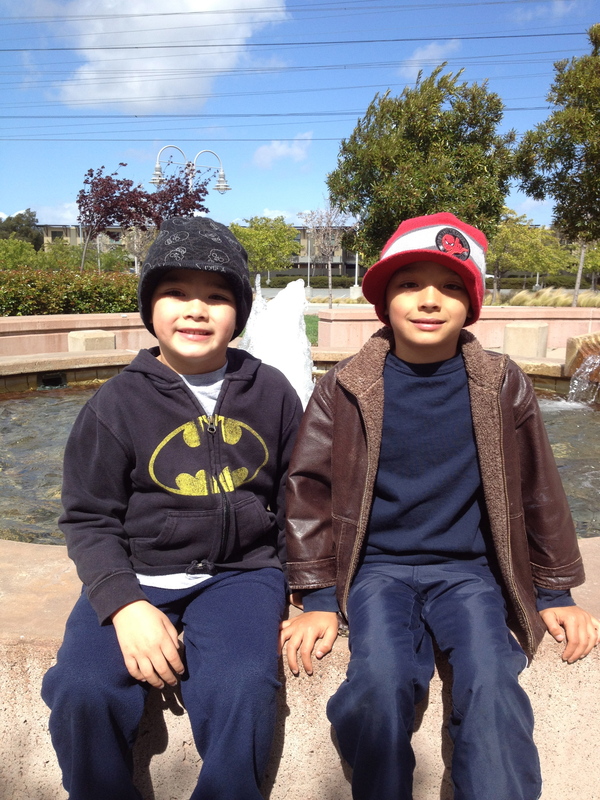 We had lunch then I dropped Seppe off at a birthday party and Gene took Gio to hospital to visit with Ben. We hung out until Gio’s game. 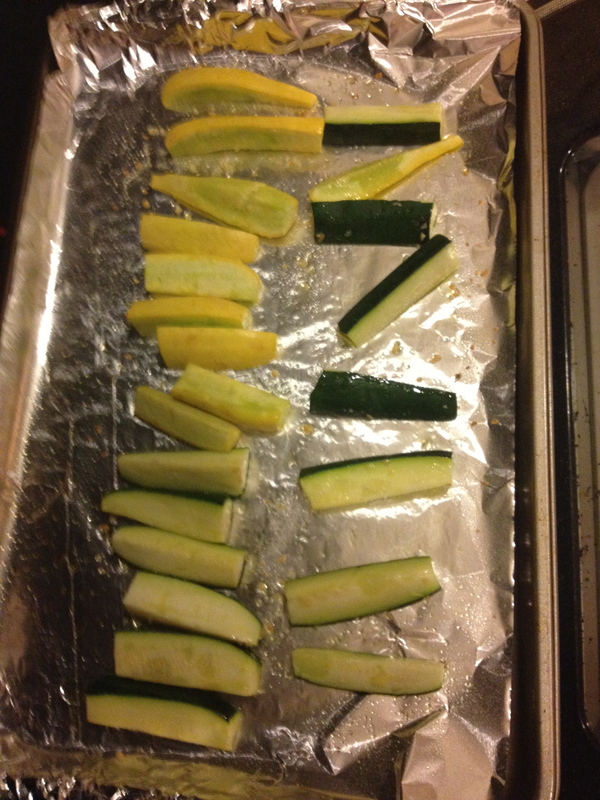 I had to leave early to pick Seppe up from the party but I also had snack duty. Gene was able to stay and help hand out snacks and took Gio to visit Ben. Ben wanted come home Sat night but they wanted to keep him another night. I went back to stay with him after I put the boys to bed. I did yoga and my plank before heading back to the hospital. Ben fell asleep soon after they have him more pain meds. I got home late and fell asleep quickly but got woken up a couple hours later by Seppe. His stomach hurt and he wound up throwing up. He slept with me and it was not that comfortable. I got up to run but I was too tired so I decided to rest for the morning. Boys made me gifts for Mother’s Day. Seppe made a recipe book with recipes from all the continents and Gio a necklace. He later made me a journal to write in. They were both pretty good for me. I went on a long run after my nap. Had a tummy ache at the half way point but I was able to finish. It was really windy out but it actually felt great. The run really helped make me feel better. I was feeling stressed out from the weekend. 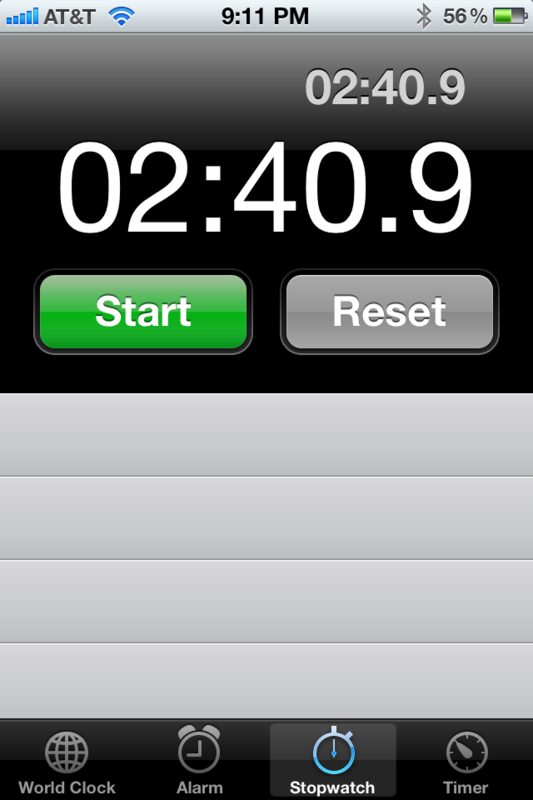 Plank to end my night. Ben is going to be home for a few weeks so I should be able to get my workouts in. 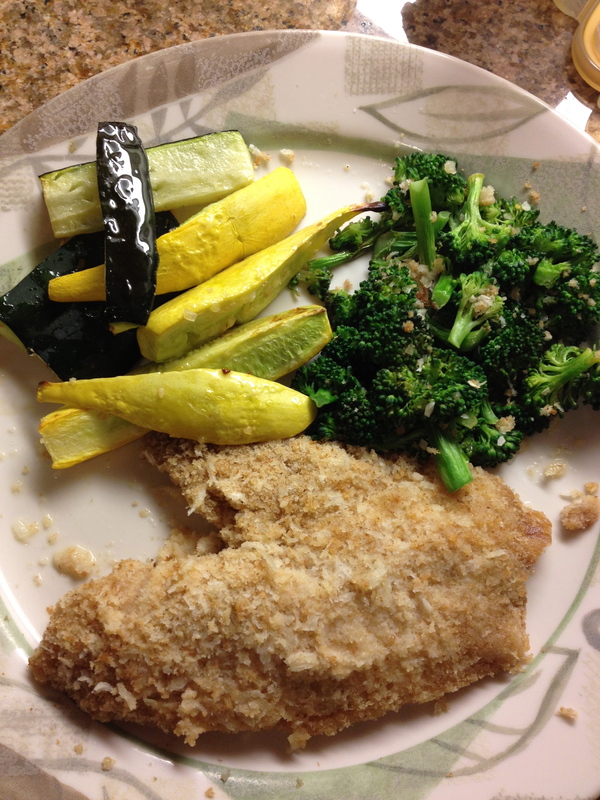 Meals weren’t that great this weekend. I skipped some meals and did not stay hydrated. I was just trying not to go crazy. 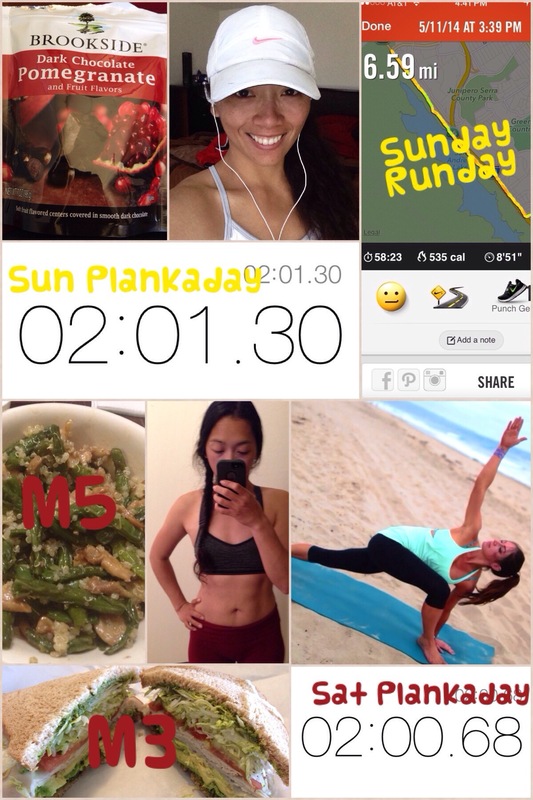 Yoga and running helped me. I’m just glad that Ben is finally home and that I don’t have to go to the hospital anymore. Spent Mother’s Day with my boys. Called my mom and had a nice talk. 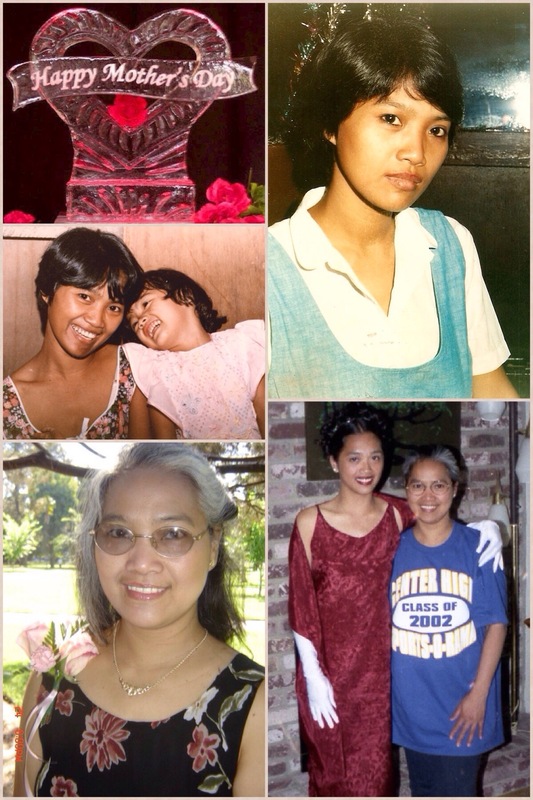 I’m grateful for all her sacrifices. I might not have agreed with her decisions but I know that if she hadn’t made them, I wouldn’t have the life I have. That didn’t stop me from trying out the new recipes though :-) For breakfast I tried the Banana Split recipe. 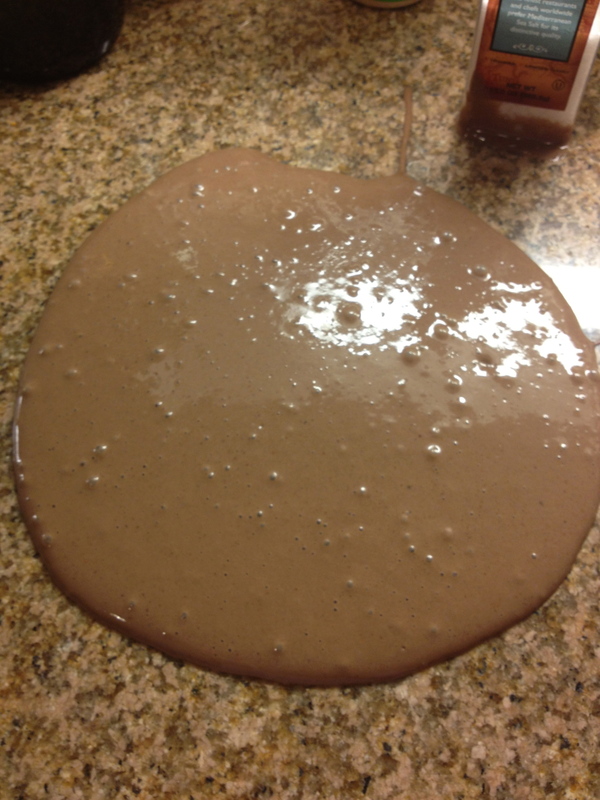 I didn’t have carob chips but I did have Chobani Champions Vanilla Chocolate Chunk so I used that instead. I also added some chia seeds. This was soooo good!! After I dropped Seppe off at school, it was time for some Turbo Fire. 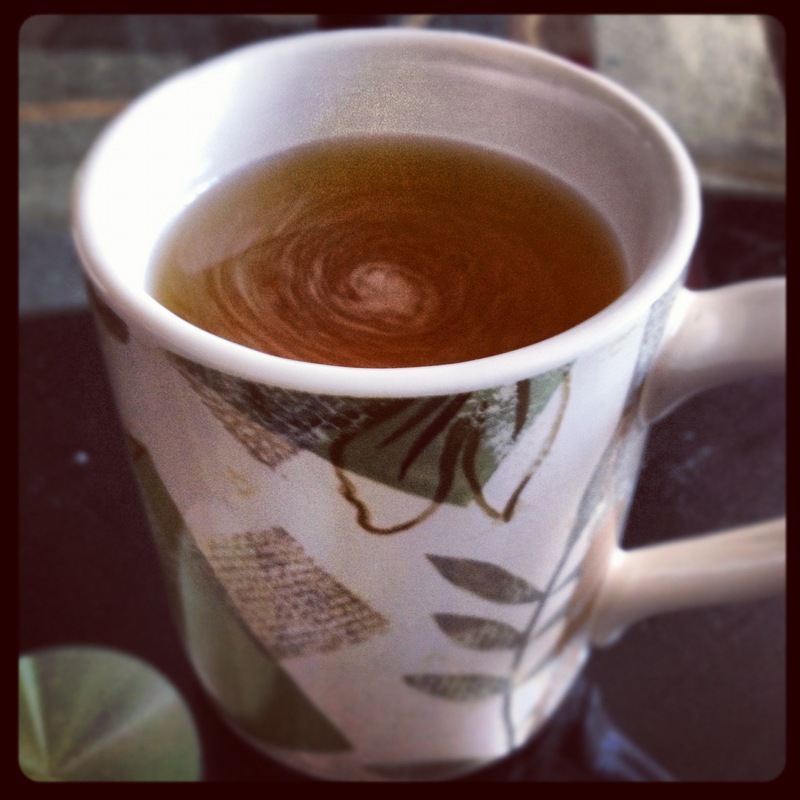 Decaf Green Tea w/ Stevia to start my day. Last Interval before cool down. Love the Seconds Pro App! 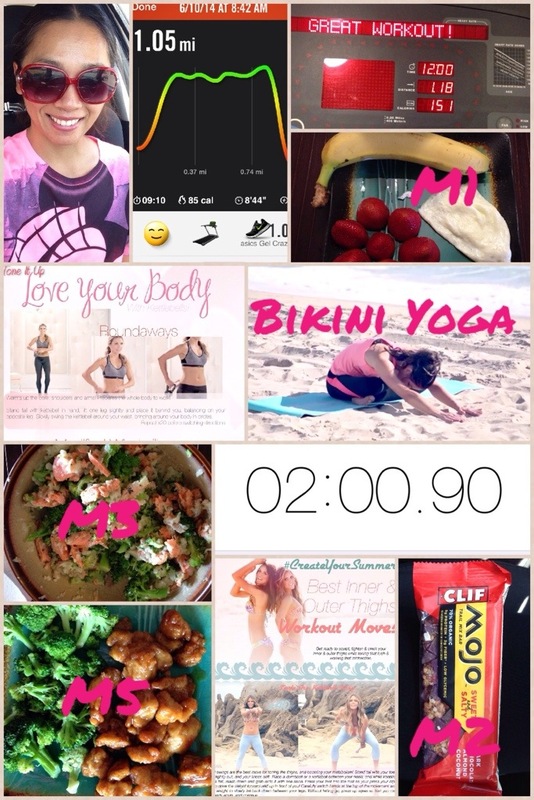 Afternoon workout was Tone It Up’s and SelfMagazine’s Drop10 Engine Revver HIIT workout. Since it was cold and rainy out, I headed to the gym. I don’t mind running in the rain, but my knees needed a little break from pounding pavement. 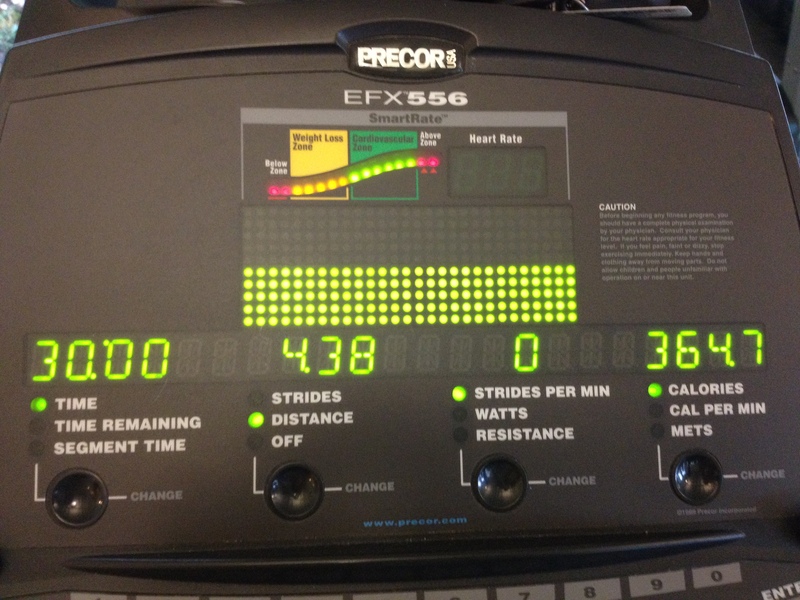 The elliptical isn’t too bad when doing a HIIT and it was actually easier for me to do the workout on the elliptical instead of the treadmill. 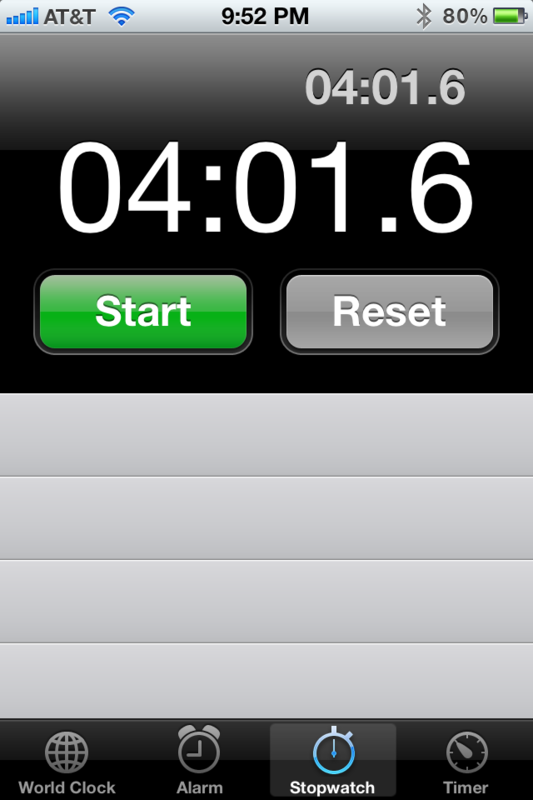 Ended my day with a 5min plank for PlankADay. M1: Banana Split with Chobani Champions Vanilla Chocolate Chunk and chia seeds. M3: Chicken Cranberry Walnut salad from Carls Jr. Had to be out of the house during lunch while our carpets were being cleaned. This is what Ben and the boys wanted so I made the best of it. The salad wasn’t too bad. M4: Luna bar and chocolate Zico. 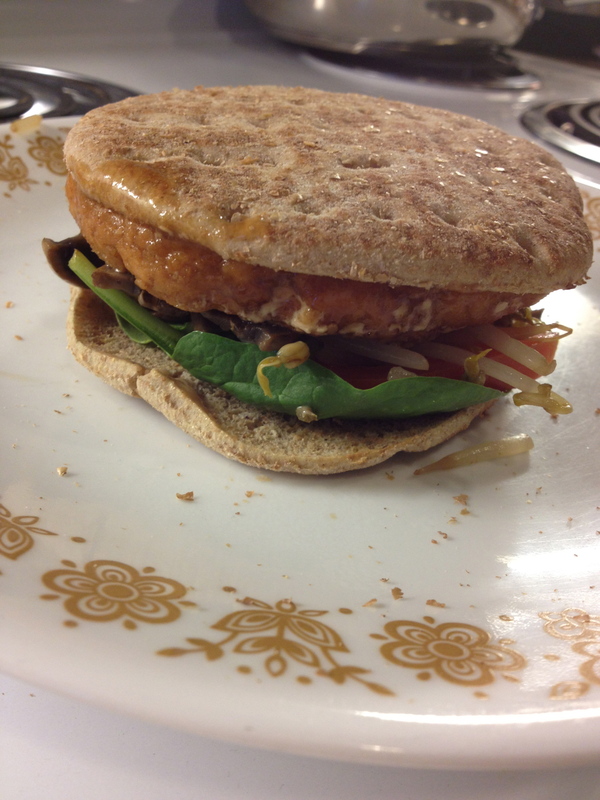 M5: Salmon Burger on whole wheat sandwich thins with mushrooms, tomatoes, spinach and bean sprouts. Ben made dinner :-) I added the mushrooms and the bean sprouts. Salmon Burger made by my hubby. Did not do well with my water today :-( Only 40 oz. and 1 Zico. Last night I realized how worn out I was from this last week. I thoroughly enjoyed sleeping in until 9a and not getting out of bed until 10a :-) The boys actually slept in too but they were up at 8a. 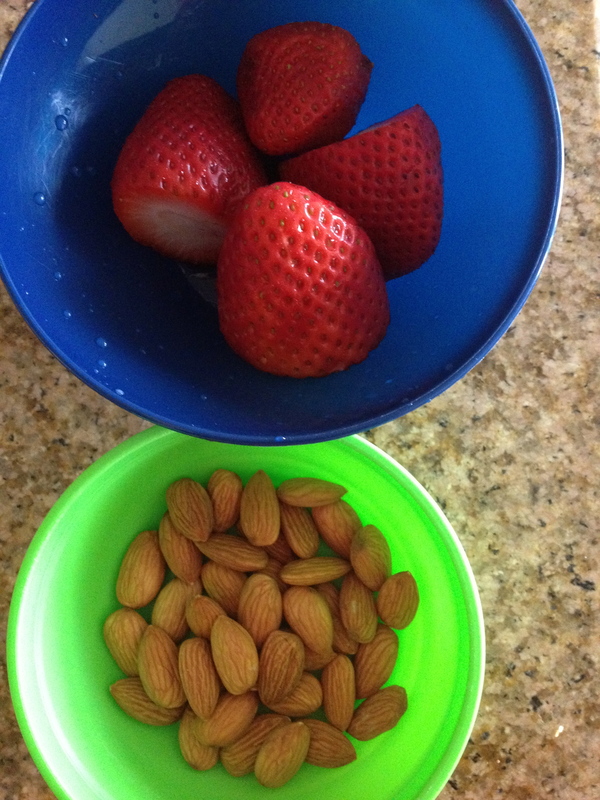 I got up and had a little something to eat before heading out for my run. It wasn’t raining today but it was pretty windy. I went 4 miles and had a great run despite the crazy wind. It’s amazing how much getting enough rest impacted my run. Yesterday, I felt a little sluggish on my run. It felt hard to get my legs moving like I wanted, but today I felt like my legs were flying even though they were still a little sore. I can really tell difference between my runs when I get extra sleep and eat a little something and when I run with an empty stomach with less sleep. I had lots of cleaning to do but I decided that after a week of being cooped up inside the house because of rain, the boys needed to get out! We walked over to the park and I let them play for a bit. Then, I had them run around the park as practice for a race that they want to do next month. I’m really excited that they want to do races. It’s just a fun kid race, but I’m hoping that one day we can do 5k’s as a family :-) Seppe did really well running for most of the time. Gio did his usual – go as fast as he can then walks for a bit and then runs again. When it was time to go home, they wanted to take the Long way home. I was worried that there would be lots of whining – especially from Seppe, but they did really well. 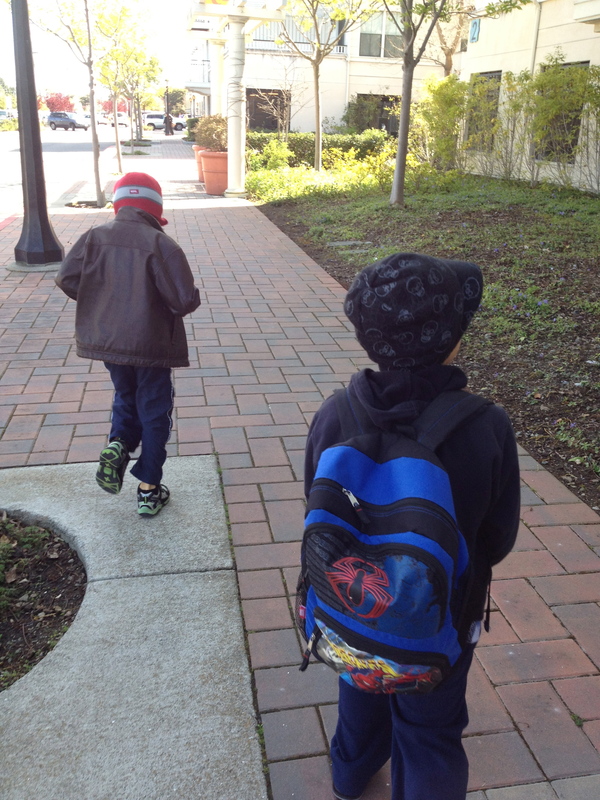 We walked by the Library, Police Station, Fire Station and City Hall. The boys were fascinated by the buildings and were very happy that they got to have a “tour.” All in all it was a 2 mile walk. Heading out for our walk. In front of City Hall - a little sunshine before we got rained on. 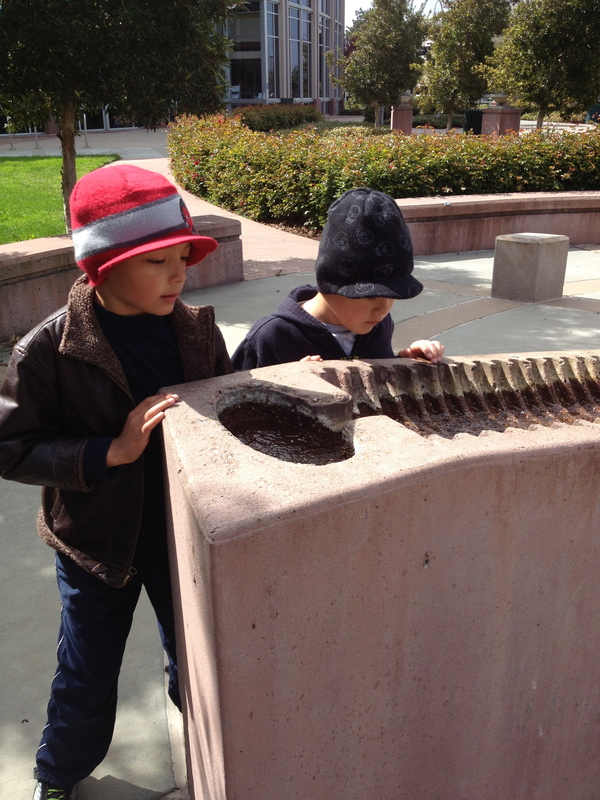 Fascinated by how the water moved in the fountain. I did some cleaning when we got home and they relaxed by watching a movie. I didn’t do my Turbo Fire workout until after they went to bed. 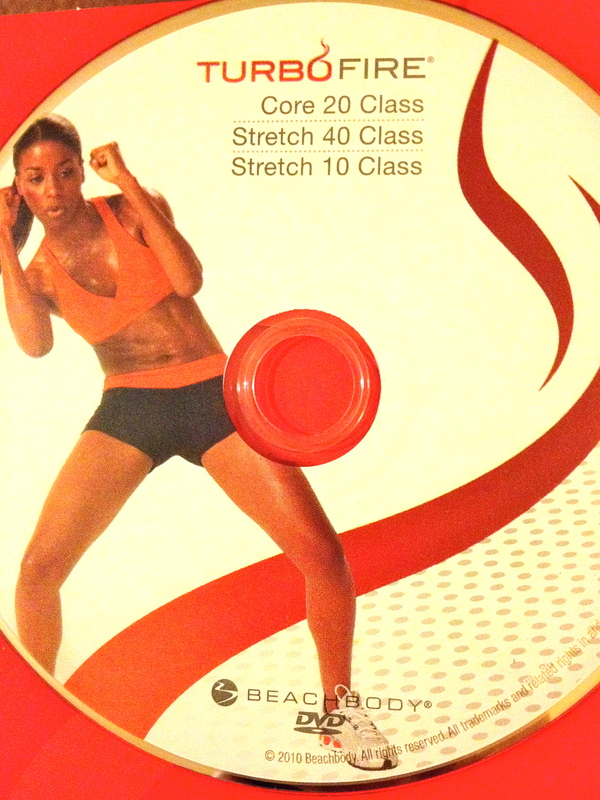 Turbo Fire Day42 – I like to do Core20 and Stretch40 at night. I don’t have to worry about being quiet because there’s no jumping. I’m still working on keeping my feet up during the Training Camp exercise. The mat exercises are really tough. Stretch40 is just amazing. It’s exactly what my body needed and a perfect way to end my day. I feel so relaxed after it. M1: Luna bar – just something quick before going for a run. 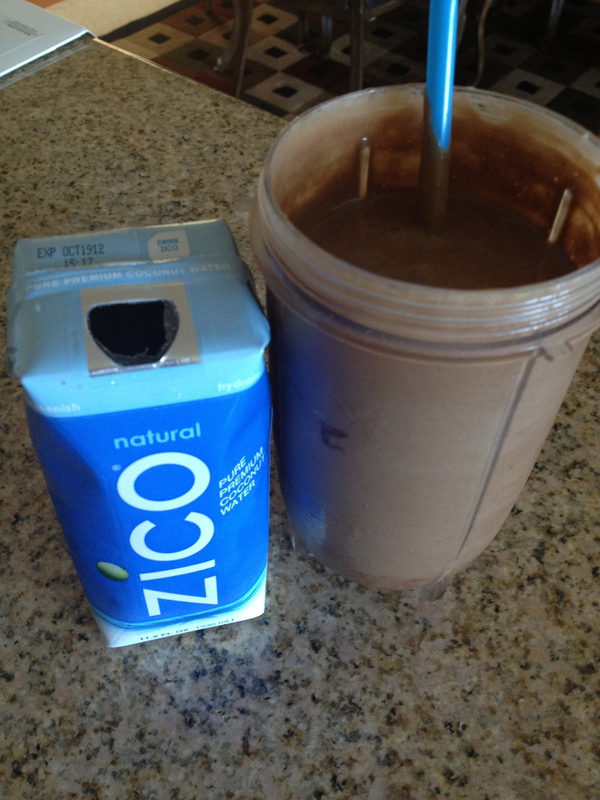 M2: Chocolate Shakeology with Zico and avocado. M3: I really didn’t know what to have for lunch. I just wasn’t in the mood for a salad. 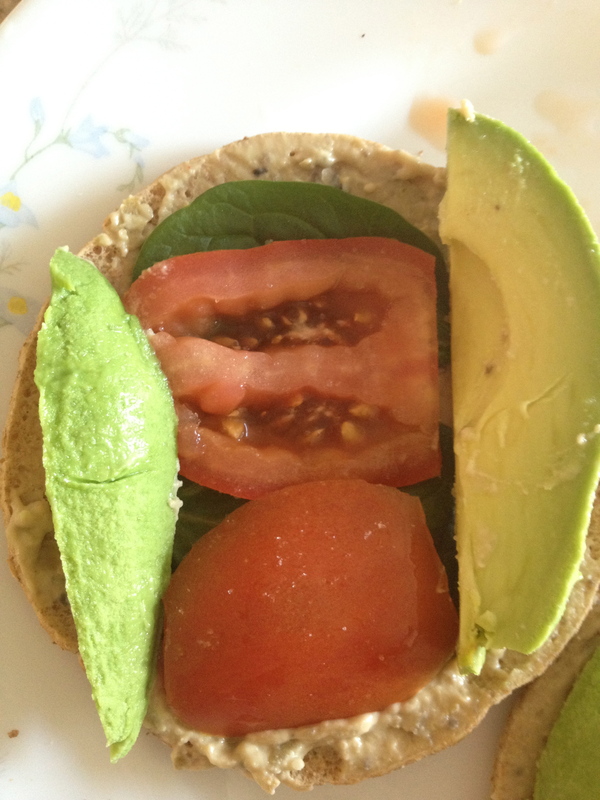 I wound up having a whole wheat sandwich thin with hummus, avocado, and tomato sprinkled with sea salt. How did switching to DayLight Savings Time work for everyone? It didn’t hurt me too badly. No way to stop losing an hour but luckily I didn’t have to be up too early. Tried to get up at 7a but was feeling super tired so I stayed in bed until 8a. I could have slept for longer but I forced myself to get up so I could go run. I wanted to beat the crowds on the trail which usually start around 8a. I think the overcast and cool weather kept some people inside because there wasn’t as many people out as there usually is. My run wasn’t all that great. I felt tired the whole time. I wanted to go faster but my body wasn’t working with me. It was like I was stuck at just one pace. I figured it was the lack of sleep and not eating anything, but I think it’s more because it’s that time of the month – again. It’s a struggle to get my body moving during this time. Oh well, at least I went for a run. I did 3 miles and my knees haven’t bothered me all day. 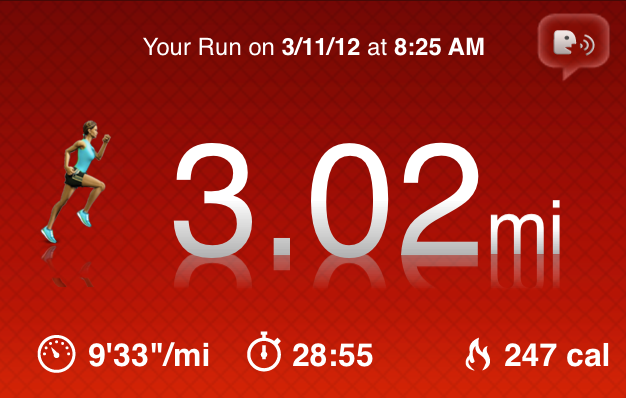 I’ve run 3 days in a row and I’m hoping that I’ll be able to run up to 5 days in a row without knee problems. Really glad that it’ll be lighter out longer so I can do some later runs. Spent most of the morning at my boys Hit-a-thon and Picture Day for tball. Then it was laundry and picking up the house a bit. I didn’t have much energy to do my usual cleaning. Boys played video games with their Grandpa so I had to wait to do my workout. I was able to rest for a half hour before dinner but for the next few days, I’ll be wanting to sleep All day long. I finally got to my Turbo Fire workout after putting the boys to bed. Luckily Core20 and Stretch40 don’t have any jumping or running so I can do this one at night without worrying about our super sensitive neighbors below us. For Core20, I really tried to keep my feet up during the mat exercises the whole time. I think that this workout has helped me get a mini six pack :-) Did all the pushups at the end too. 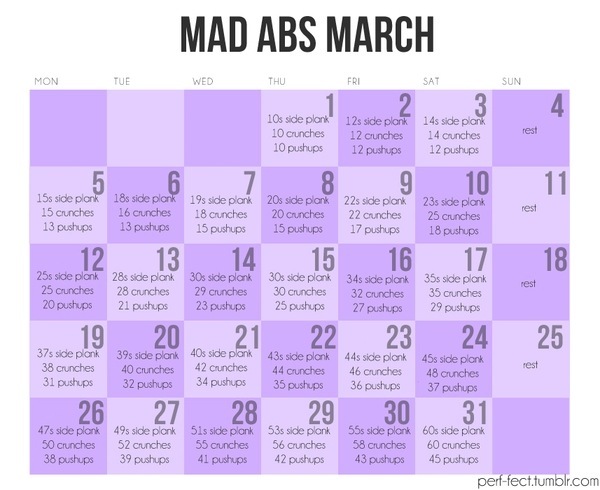 After the doing the Mad Abs challenge, doing 8 pushups didn’t seem so bad this time around. Stretch40 was absolutely wonderful for me today. My body really needed a good stretch. It felt great :-) I’m really pushing myself in this one because flexibility is something that I want to work on. I can go a little bit lower on the forward bends and triangle poses. No pain at all in my left knee when I straighten it. I do the tricep pushups on my feet but I do the hover on my knees. Hovering above the ground is hard! When I first tried it on my feet, I just fell to the ground. lol. I shake the whole time on my knees, but I’m working on it. 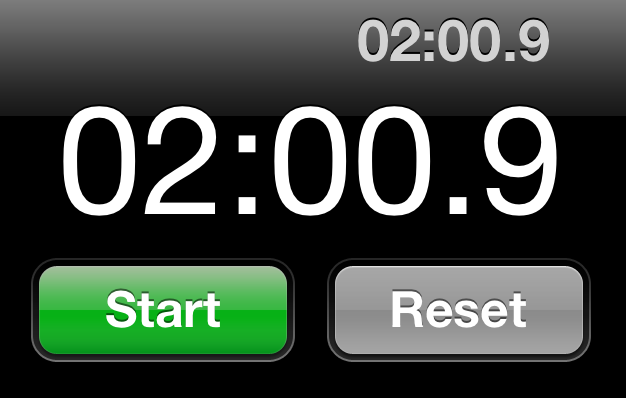 It’s rest day for Mad Abs March but I did a 2 minute plank to end my night. On elbows - 30 second left leg raised, 30 second right leg raised, on hands for 30 seconds and tummy tucks for 30 seconds. M1: Another Starbucks Spinach, Feta, and Egg white wrap. M3: I had a Luna bar at the park while the boys chowed down on hot dogs. Having the Luna bar kept me from eating a hot dog that did smell pretty good. 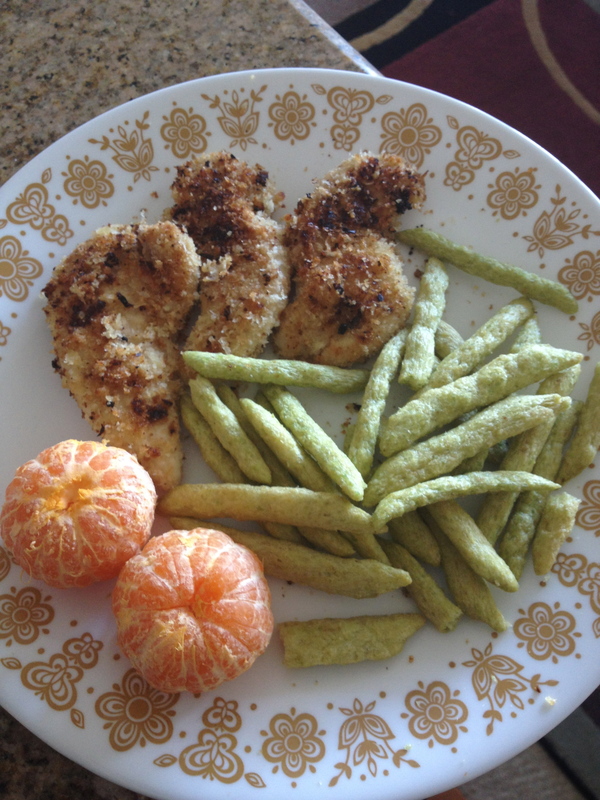 As soon as we got back home I had some left over Panko chicken, snapea crisps and 2 clementines. M4: 5 dark chocolate almonds. 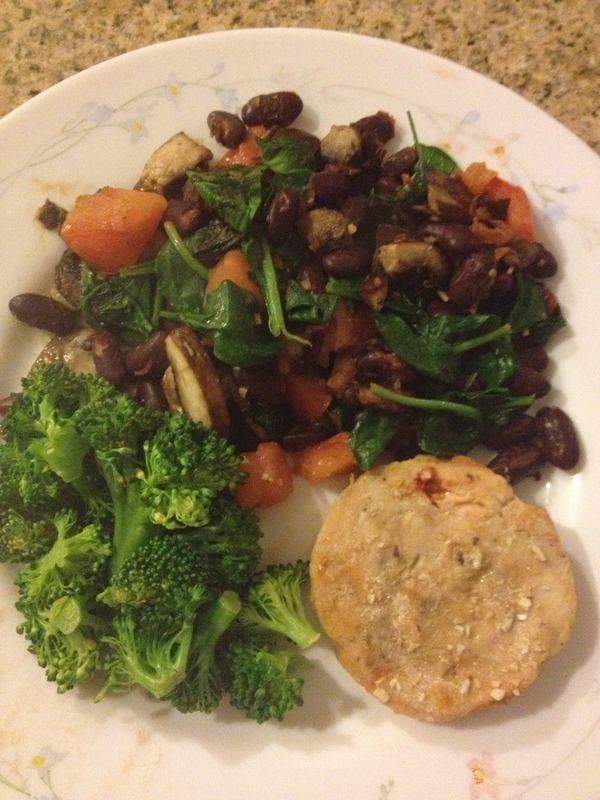 M5: Salmon burger with kidney beans, spinach, mushroom, and tomato mix with a side of broccoli. This was the second Salmon Burger from a couple nights ago that I didn't finish. 80 0z. of water and 1 Zico. Today started off great right away :-) Even though I had stayed up a little too late last night watching a movie with Ben (well he watched it while I slept through most of it because I had already seen it) I got up at 6:30a and headed out for a bike ride. I realized that I wouldn’t be able to do my usual hour long ride because I had a lot to do to get ready for the boys’ first t-ball games. I decided to to do a short 6 mile ride, I kept the gears high and pedaled as hard as I could most of the time. There are times when passing and crossing streets that I had to slow down. It’s been a while since I’ve done a bike ride and I could tell. I was able to get up to 14mph before but my legs felt heavy doing 12mph today. Maybe they were just worn out from yesterdays workouts? I just know that I need to get back to riding my bike more often. I was pretty tired after we got home. I record all their games so I was on feet walking around for both games. After lunch, I wound up laying down and fell asleep. 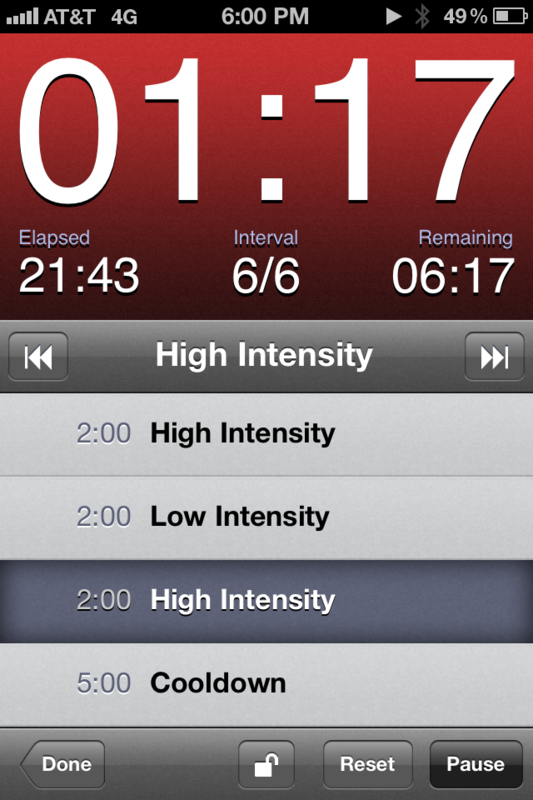 A couple hours later I got up and made sure to do my Turbo Fire workout. M1: last slice of zucchini loaf because Seppe took a couple bites and decided he wanted something else. 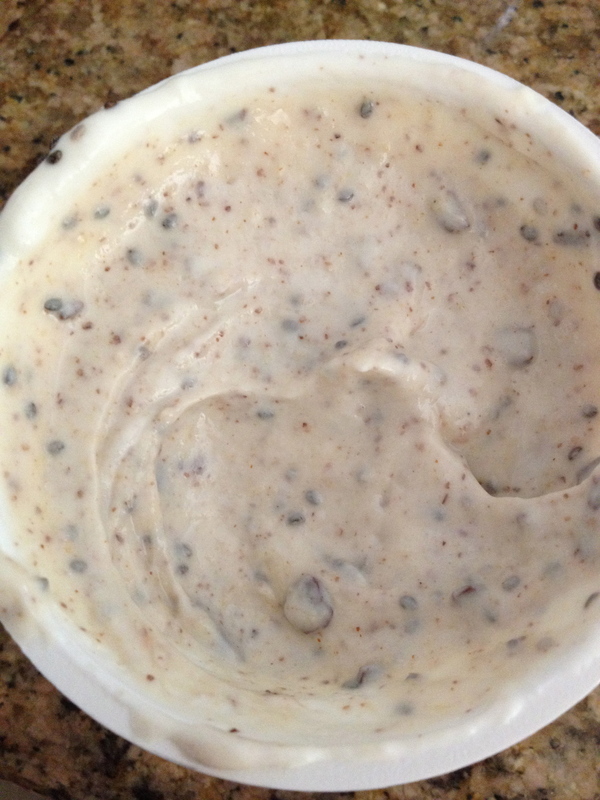 Had a Chobani Champions Vanilla Chocolate Chunk with raw almond butter and chia seeds. 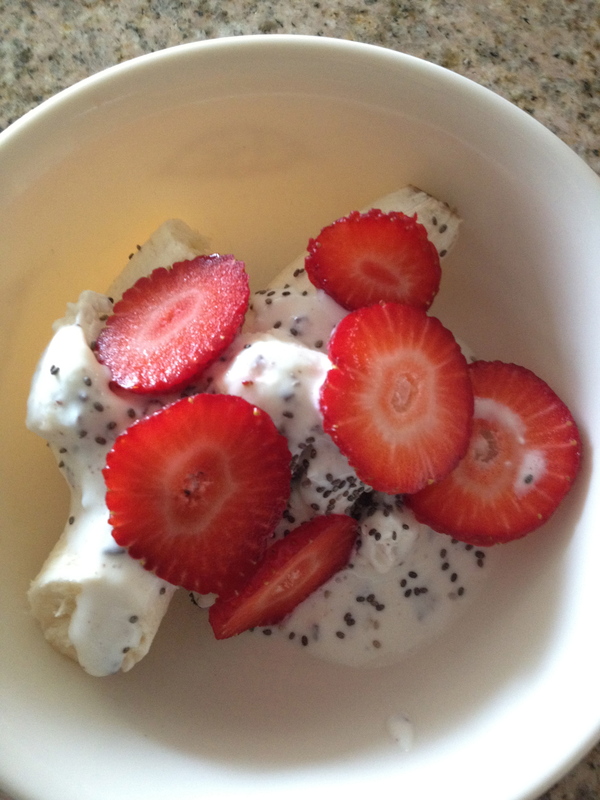 I’m kind of addicted to adding chia seeds to my breakfast. M2: Grapes and a Luna bar in between the boys games. M3: Ben decided to go to Panda for lunch and I was too tired to put much effort into making anything. 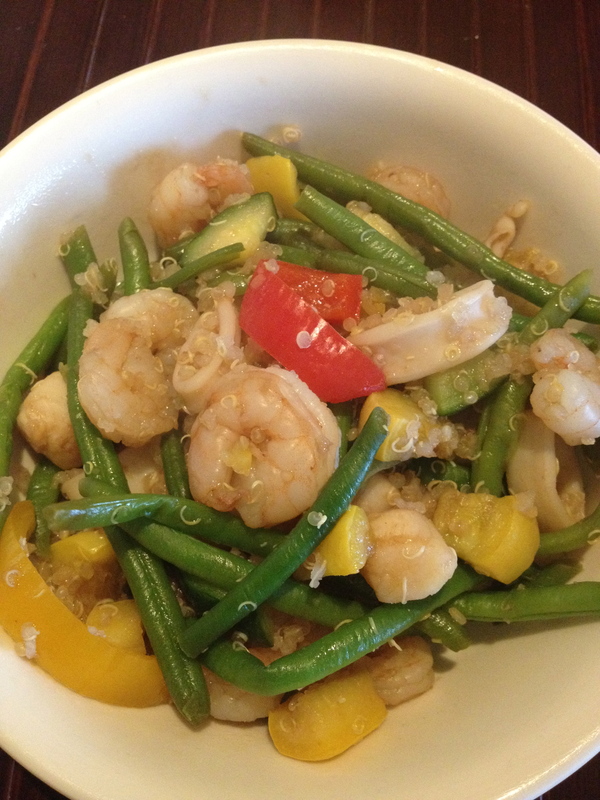 I went for a Veggie Bowl with Chicken and String Beans. M4: Snapea Crisps and Olive Tapenade. It was a Long day today – and not a good one. Another 4am wake up call – this time bringing the kids with us. Helping Ben get his shoes with these super early mornings have really taken a toll on me. I was exhausted. Granted, I did have a pretty intense day yesterday. Normally, Saturdays are my Take it Easy day. I cross train and go for a 10mile bike ride for my bootycall. That didn’t happen today. After breakfast, I went right back to bed. When I got up, I was still tired and there was so much to do. The boys were difficult today. Then Ben’s car breaks down and we have to caravan over to the repair shop. I really wasn’t in the mood to deal with car problems. It’s one thing we didn’t need to happen right now. I’m not too happy that I won’t have a car for the next two days while Ben takes mine for work – not to mention that on Monday I will have to drop him off to work early in the morning so I can have the car for the boys. Ugh! I wanted to do more workouts. I probably should have done more. 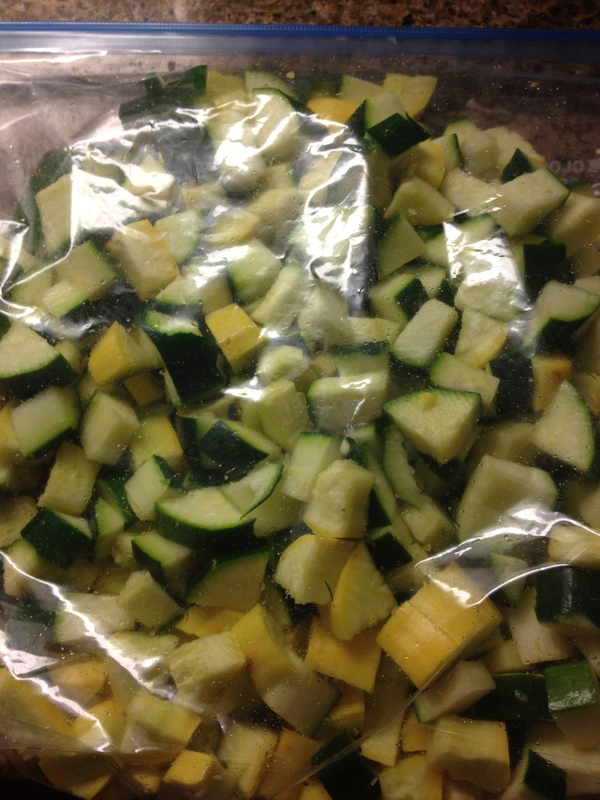 But I was falling asleep after putting the boys to bed at 8p. As much as I want to keep pushing myself – I also know that I have to listen to my body. I have been sore All week from my workouts. It’s not so bad that I can’t move, but combined with the lack of sleep, my body is telling me I need to Rest. The only other thing I did was my plank. Tonight I did a 2:30 min variation – 30 seconds on elbows, 30 seconds hip dips (that’s what I’m calling it) – where you lower your hips side to side while in low plank, 30 seconds with my right leg raised, 30 seconds with my left leg raised, and 30 seconds back in plank. M1: Starbucks egg white, spinach and feta wrap. It is the only thing I go into Starbucks for. M3: Snapea Crisps with Chunky Olive Hummus. M4: Air popped popcorn. I was craving it. 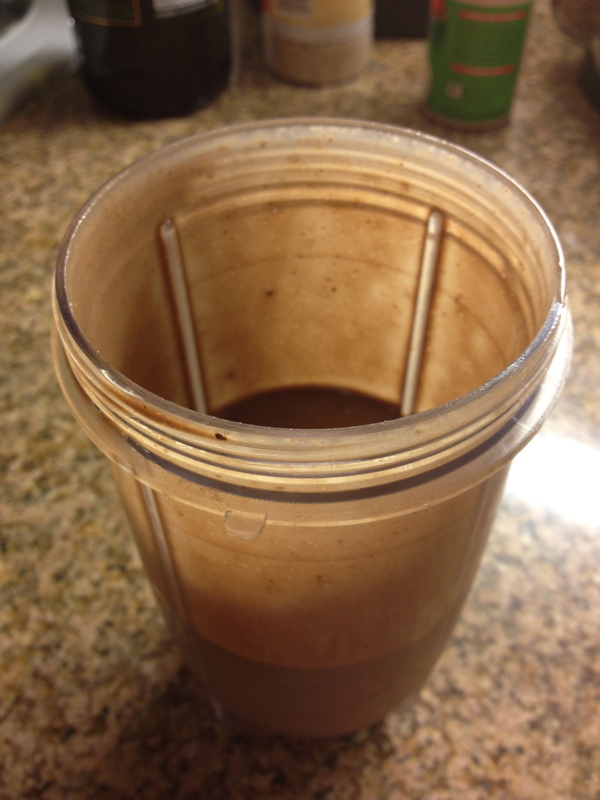 M5: Half of my Shakeology, almond butter and banana shake. The other half wound up on the counter :-( I was craving KFC for some reason while I was making my shake. lol.